In February of 2015, Supreme Title opened their fifth location, which is located in the Beachside area of Vero Beach, Florida. We expanded our Title Agency again delivering closing services closer to our clients. Our team of title agents and staff focus on technology and seamless closing transitions, giving Supreme Title a family feel for all our clients, including realtors, mortgage brokers, buyers and sellers. Our clients can work with their preferred title agent from any of our six locations throughout Brevard and Indian River Counties. We can work with you from one branch and seamlessly close your transaction at any of our locations. Supreme Title remains steadfast to our three principals: Accountability, Affordability, and Accessibility. IF YOU’RE NOT CLOSING AT SUPREME TITLE, YOU’RE NOT CLOSING! Carol has over 8 years of experience in the title industry working for a national title company; this experience allowed her to work with customers at a local, regional and national level. Carol was recognized as the top sales producer within her division for 3 consecutive years. A great part of her success comes from her continual commitment in working to expand her abilities and the company’s capabilities to meet and exceed their customers’ definition of great customer service. With time spent on identifying customer’s needs, Carol has a clear understanding that not everyone fits into one mold. Being fluent in Spanish also helps Carol to meet the needs of Spanish speaking customers. She is an active member of the Realtors® Association of Indian River County, where she was awarded 2012 Affiliate of the Year. Carol also recently completed the 2013 Leadership Indian River County program offered by the Chamber of Commerce. We are so excited to have Hailey join the Supreme Family. New to the industry Ms. Hailey brings her big smile and 4 years of customer service experience. She’s enjoyed learning about the title industry and all the team work it takes to take someone from contract to closing. She feels like Supreme Title is family. On her off time she loves hitting theme parks, or going to the beach. 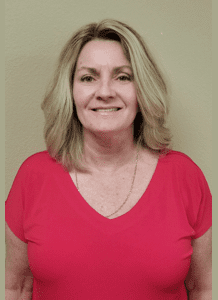 Melissa has been in the real estate industry in Indian River county, Florida since 1998. She has worked exclusively in title for over 15 years. With her extensive background in both real estate and title you know that Melissa knows her business. Melisa is a Florida native who enjoys free time with her husband, two children. She loves hanging on their boat and watching her kids sporting events. You will love closing with Melissa. A Vero Beach native. She has over 10 years of experience in customer service and is here to serve you in the best way possible. She loves the atmosphere here at Supreme Title! From Facebook to Google our reviews speak volumes! The good people at Supreme title always do a great job on their closings! Thank you! Supreme Title handled my closing efficiently and quickly. Thank you! What a wonderful, efficient, caring company to work with. This company is excellent. Each and every person we dealt with was so professional, while being very personal at the same time. They made the process painless. I highly recommend this group of people and their wonderful company, Supreme Title. By the time we left their office after closing, we felt like family. Thank you to the Supreme Title team for all your hard work in my closings this past week. As always, it has been a pleasure working together and you are my favorite title company!! Keep up the great job ladies and I look forward to more closings with you. Thank you for all that you do! You make every closing look easy. Cyndy little and the whole entire staff are beyond amazing and help me with all of my closings !!!! They work hard and help whenever they need to i would be lost without them . I highly recommend them to everyone . There is no doubt this is the best title company to use for all of your listings, refinance, whatever your title needs are, use Supreme Title Closings. They welcome you the minute you step in the door and make you feel like part of the family immediately. So regardless of how good or bad your day may have been going before you stepped into or called Supreme, you will be in a much better frame of mind and spirit afterwards. For the Realtors, we can go set up and get some work done in between showings or closings or just to make phone calls. The Supreme Team always makes me feel welcome!! Super professional company!! From the moment you enter into their door you are greeted with the most pleasant atmosphere and the warmest greeting! So my experience from the first day to the last day when we closed really warranted this compliment to all of the staff! Tracy, Bridget and all who were involved in my personal process couldn't have been better! I cannot say enough thanks to this company! You owe it to yourself to select them for all of your real estate needs! They truly are one of the best top notched companies! Thanks again! Great knowledgeable people. Make the closing experience so easy. How refreshing to have your title officer engage communication to my clients on a continual basis! Melissa is always one step ahead of the process. And Hailey is a smiling face at the front desk always willing to help out. Organized, informative, professional yet friendly. Melissa Haywood was thorough and knowledgeable, all of our questions answered and provided explanation if needed. Great place to help close your Real Estate transactions. Great service, very informative all during the loan process.